Do you know when the U.S. Government collected information about the American population? Do you want information that these records contain? Well then let me guide you through the census years and census dates. Knowing them can help you pinpoint specific moments in your ancestor’s live. When did the first census take place? Although the modern day census began in 1790 actually the very first record was conducted in the early 17th century. The British government were interested to learn about the population that were living in the British colonies at the time. As America grew as a nation it was therefore important for the U.S. Government to know the size of the population. Using this information the government would be able to plan and know how to spend money in areas such as housing, roads, recreation, etc. However, with an increase in questioning and an ever-expanding population it was obvious that the process of assimilating all these records would take even longer. The 1880 census record in fact took nearly a whole decade to process. What can be found in census records! Before I continue any further let me show you this short video from Ancestry. It will show you what information that you can uncover from these records. Over the course of American history the date for that the census was conducted has changed many, many times. Enumerators originally performed their duties on the first Monday in August. Subsequent dates then became June 1st and then most recently April 1st, where it is still this date to this very day. Although the dates have varied over the years one important ‘rule’ has remained the same. And that rule is that the information collected for that census year reflects the status of the individual and the household on that Census Day. Before I do continue to list the dates I must point out to you the 72 year rule. This rule states that 72 years must lapse before the records are available to the public. That therefore means that the 1940 census records are the latest to be accessed. And because of this rule you will not be able to view the 1950 census records until 2022. Early censuses have either been lost or have been destroyed. There is also not much information that can be gleaned from early censuses. Prior to 1830 there were no pre-printed forms and so the enumerators were responsible for drawing up their own. This obviously led to errors in the calculation of results. So, here you have it, a list of all the census years and the dates that they were conducted. The most recent census that is available is 1940, but I have included statistics right up to 2010. Just watch the numbers grow! For your interest I have also included an estimate of the American population for each of these years. It makes some interesting reading. To me it is quite fascinating to see how large it has become, where there were 308 million people in 2010. I just wonder how many people will be living in the U.S. by the time of the next census in 2020. This was the very first census conducted after the American Revolution that lasted from 1765 to 1783. The 1790 census and the following three censuses up to 1830 was taken on the first Monday in August. This census included the new District of Colombia. Sadly though over the years the records for Georgia, Kentucky, New Jersey, Tennessee and Virginia were lost. The new state of Ohio was included for this census but have since been lost. This is also the case for the District of Colombia, Georgia, Mississippi and New Jersey, and most of Tennessee records as well. This census year was the first to inquire about the quantity and value of products that America was producing. Six new states were included in this record collection of America. They included Alabama, Illinois, Indiana, Louisiana, Maine and Mississippi. Again sadly records most of the records from the territories of Arkansas and Missouri, and New Jersey have been lost. The Census Day was changed from the first Monday in August to June 1st. This date would be kept right up until 1990. Some records have been lost in Massachusetts, Maryland and Mississippi. The 1840 census saw the inclusion of inquiries into the fishing industry. There was also the inclusion of questioning relating to the ‘insanity’ of the population. This led to plenty of controversy as from the results there was a very large number of black people that were deemed ‘mentally ill’. This was the first census that recorded every member of the household. Previous censuses were only interested in the head of the house and where the rest of the household was tabulated with respect to their age. The U.S. Government were also interested to learn about taxation, churches, pauperism and also crime as well. 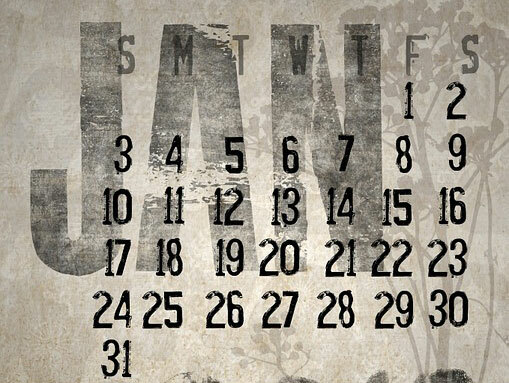 The first slave schedules were also completed for this year that recorded all slaves living within the United States. This census was the first to include American Indians. However, they were only included within these records if they had renounced their tribal rules. 1860 was the second, and the last census, to conduct a slave schedule. Due to the consequences of the American Civil War 1861-1965 this was no longer performed. Due to the slave schedule being discontinued the 1870 census record was the first to provide more detailed information about the black population of America. There was also some controversy at the time as the population of both New York and Pennsylvania were thought to have been undercounted. 1870 saw the introduction of questioning an individual’s ethnicity. New York’s population was the highest out of all the states to have foreign immigrants. The figure was 44.5% of the population. Interestingly this was the first census where women were allowed to be become enumerators and collect information for the U.S. government. This census was taken a day late because June 1st was a Sunday. Unfortunately due to a large fire that broke out in the Commerce Department that held the records only a fragment of them remain. Due to advancement in technology the processing of this year’s census only took two and a half years. The previous 1880 census had taken 8 years to process and it was thought that the 1890 census would have taken 6 years. This reduction in time was made possible by the machination of the process by Herman Hollerith. However, the public was not convinced that the population of America at the time was 62 million. They believed that the figure was more towards 75 million. Previous census forms were portrait in orientation, however 1910 saw this change to landscape. For Alaska the date of the census was taken on October 1st 1929. The date for Census Day was again changed. The census was now conducted on April 1st and has remained so ever since. And also questioning about a person’s wage. Because of the 72 year rule this is the latest census records that can be publicly accessed. This census record will not be available to access until April 1st 2022. This census record will not be available to access until April 1st 2032. This census record will not be available to access until April 1st 2042. This census record will not be available to access until April 1st 2052. This census record will not be available to access until April 1st 2062. This census record will not be available to access until April 1st 2072. This census record will not be available to access until April 1st 2082. So, there you have it, a convenient guide for you that includes every census to date. I hope that the facts that I included for each of the censuses were of interest to you. Knowing the date that a census was conducted can help you further with your genealogy research. For example, if your ancestor was alive in 1930 but not in 1940 then you will know that he or she must have died prior to April 1st 1940. It may not seem a big difference to you but it can help you to narrow down your research. After reading this post you may still want to get more information about the U.S. census records. Please check out the FamilySearch website where you will find plenty of guides, tips and resources. I hope you enjoyed this post explaining to you the U.S. Census Years and Census Dates. If you have any questions or comments then please leave a comment below. 15 Activities That You Can Do During National Family History Month! What Is Historic Preservation Month? Very interesting. Looks like you put a lot of time and effort into this. I enjoyed the comments you have for each census year. It’s hard to believe the population increase in 220 years. Thank you Jimmie for your comment. It did take a while to put all of this together. And yes it is quite staggering just how much the population has grown. Wow! I had no idea the latest US Census record that can be publicly accessed is 1940! 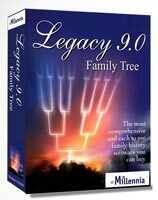 I’ve always been interested in genealogy research. It helps to know when the census was actually taken and if the records are even available yet. Good information here! Yes it is quite recent compared to the British Census Records where the most recent records is the 1911 Census. So we’re really lucky in the U.S. I didn’t know that the U.S. census has been going on from 1790. That’s such a long time ago. Also, it’s just crazy how much the US population has increased, and STILL continues to increase! Yes you’re right the census has been conducted for a long time indeed. 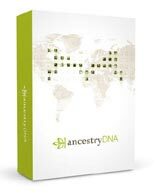 Which makes finding our distant ancestors so easy with this resource. Although not too distant as we can only truly find them back as far as 1850. But still that is over 160 years ago. I too thought it was interesting how the population has increased with the passing of each census. But I do wonder just how accurate these numbers really are. Even the most recent ones must have some inaccuracies.